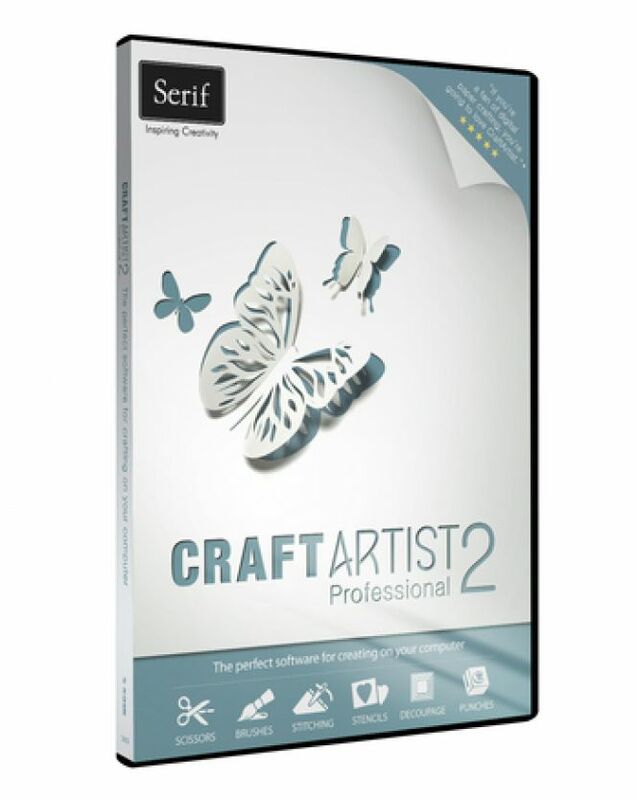 CraftArtist Compact - download in one click. Virus free. Download the latest version of CraftArtist Compact with just one click, without registration. It is a standalone setup package that contains the full offline installer for CraftArtist Compact. The best gift is the handmade one. CraftArtist Compact is a free program developed by the Serif company. It will become your personal guide in creating hand-crafted cards, invitations, and books of every sort and kind. 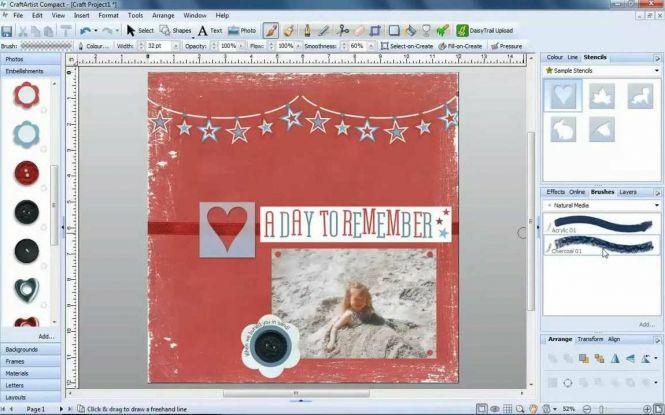 Scrap-booking is not only for artists or geniuses, with this software it's possible to get absorbed into creative work. Many of us would like to make something creative at home, but there is often an obstacle like time shortage or a over-great diversity of materials to choose from. Sometimes you don't know where and when to start from. To solve any of those problems, just download CraftArtist Compact which is your magic wand. 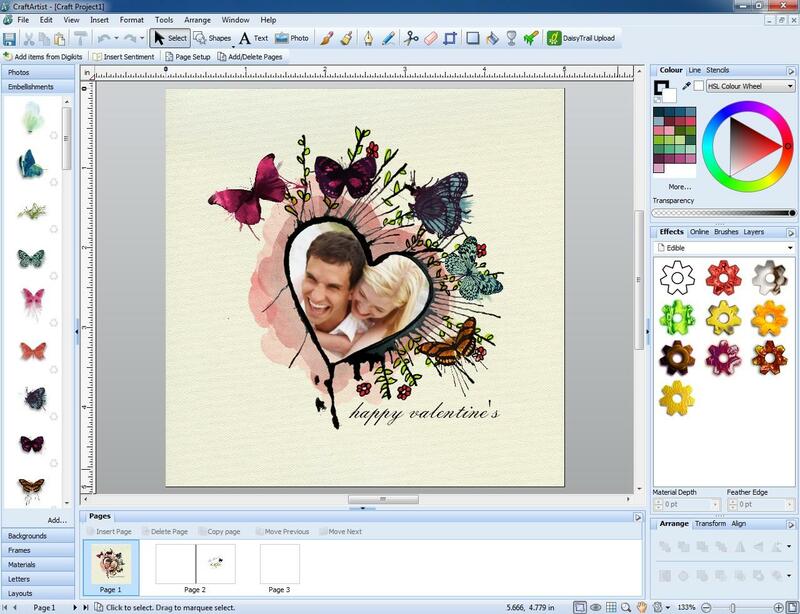 Just to let you know, this is a program to create photobooks, scrapbooks, postcards and party crafts. The most useful side of the app is its scrapbooking kit with 12 initial templates. Otherwise, you can select a Blank Project. Then everything goes as usual: pick out among backgrounds, frames, and colors. Try different options like photo or text inserting; take a brush and add shadows or effects. If you don't like a thing, just delete it and choose another one. On-screen prompts will direct you and help to use program features. To complete the project, just save the result in .png/.jpg/.tif/.svg format and share it with your relatives and friends. Otherwise, you can print it easily right at home or send via e-mail. It's very comfortable, isn't it?